We are very happy to announce the launching of this website. The aim to make this website is to help all pet lovers to fulfill their hobbies and to get knowledge of almost every pet. 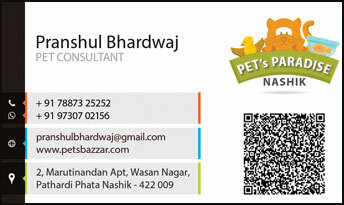 We hope your stay with PetsBazzar.com will make you return to us again and again. Also we need contribution from everyone. Contributors will get full credit on their contribution. 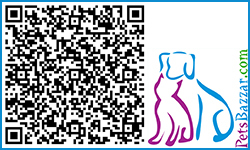 We would like to update our viewers that our team is working on Pets Profile data. There are more than 650 individual profiles of Pet Birds, 510 profiles of dogs in more than 11 groups with international Kennel Clubs. Only Freshwater Aquarium Fish's carry 3500 varieties and remaining miscellaneous pets do carry more than 1100 individual profiles. This will take more time to finish with pet profiles. We will keep updating our users from Whatsapp, email, Facebook page and our newsletter. Now we have uploaded almost all bird’s photographs, in upcoming week we will finish updating with avian profile data followed by Dog Breeds database.